Events, achievements and fantastic stories: find out what National Star has been up to by browsing our News archive. 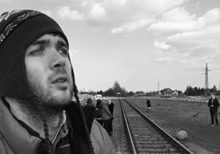 Two National Star students visited the Nazi concentration camp Auschwitz-Birkenau as part of the Lessons from Auschwitz Project run by the Holocaust Education Trust. 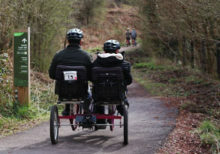 Five National Star students proved disability is no barrier to getting out and about on a bike when they undertook a challenge to mark Autism Awareness Week. 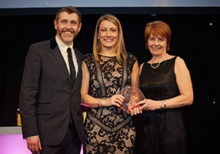 National Star has won two prestigious national awards for its work with young people with complex disabilities and learning difficulties. For Alec Davies going to Cheltenham Races wasn’t just a day out, it was the accumulation of months of hard work. 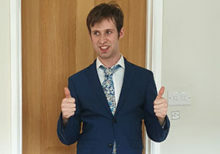 The 21-year-old was among a group of 12 National Star students who went to Prestbury. 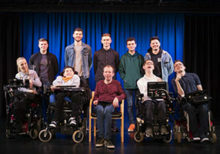 Four National Star students appeared on BBC’s The One Show in their quest for their own ‘voice’ for their communication devices. These are high tech communication systems that synthesise speech from text to produce a ‘voice’, enabling those with no natural voice or communication difficulties to express themselves. 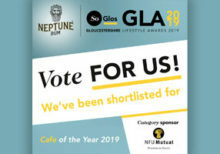 Vote for StarBistro in the Café of the Year category at the SoGlos Gloucestershire Lifestyle Awards 2019.